GOP Senators Party Like Frat Boys In SNL Cold Open - Joe.My.God. The Senate voted on Saturday afternoon to confirm Brett M. Kavanaugh as a Supreme Court justice by the narrowest margin in more than a century. 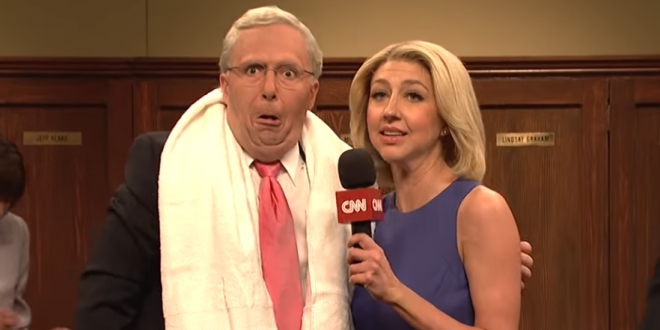 Later that day, Republican lawmakers celebrated raucously — on “Saturday Night Live,” at least.